Leo Babywear is made to be a perfect choice for those who are looking for a beautiful and professional look for their kids clothing stores, kid fashion stores to sell products like baby clothes, girls dresses, baby items, baby boy clothes, toddler clothes, kid stuff, etc. 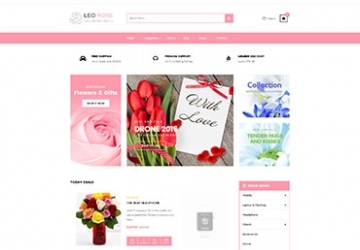 Leo Babywear responsive theme built on the best Prestashop framework, fully equipped with the functions of an e-commerce store, promises to make your store the best kids clothing online store. 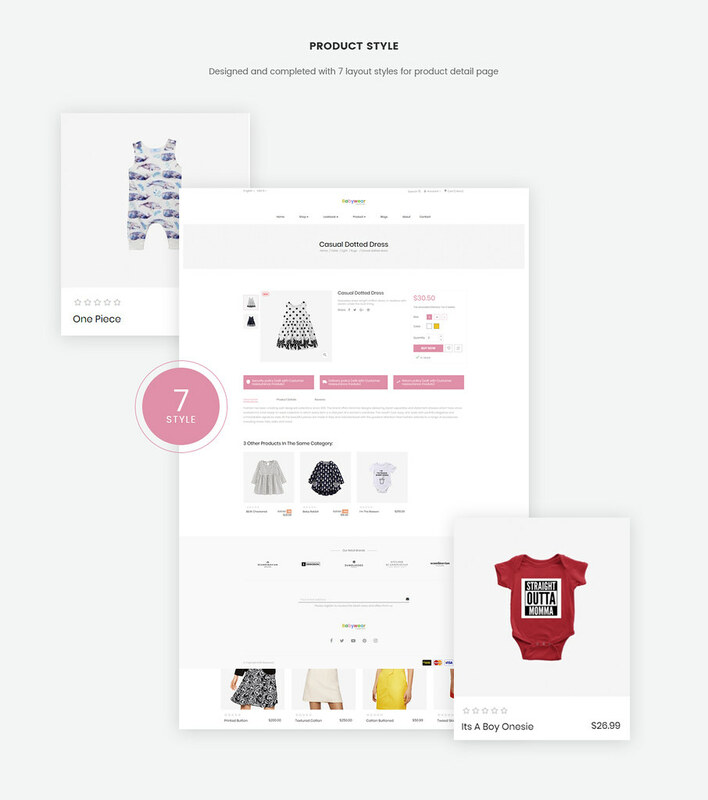 Leo Babywear fashion Prestashop 1.7 theme owns a logical layout on bright background color to highlight the best of your store. 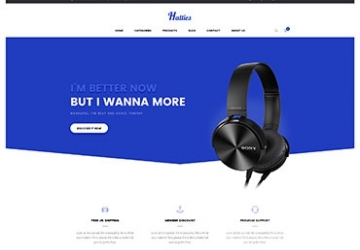 The logo at the center, powerful mega menu in horizontal style right under the logo and the full-width slideshow taking over the screen will all attract your web-visitor to continue to scroll down to explore your store. Banners with vivid images will leave a place for you to show products of kid fashion trends. 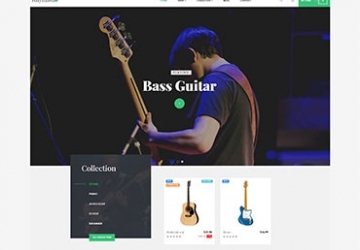 Thanks to the drag and drop page builder module, you can create as many profiles or products as you want. 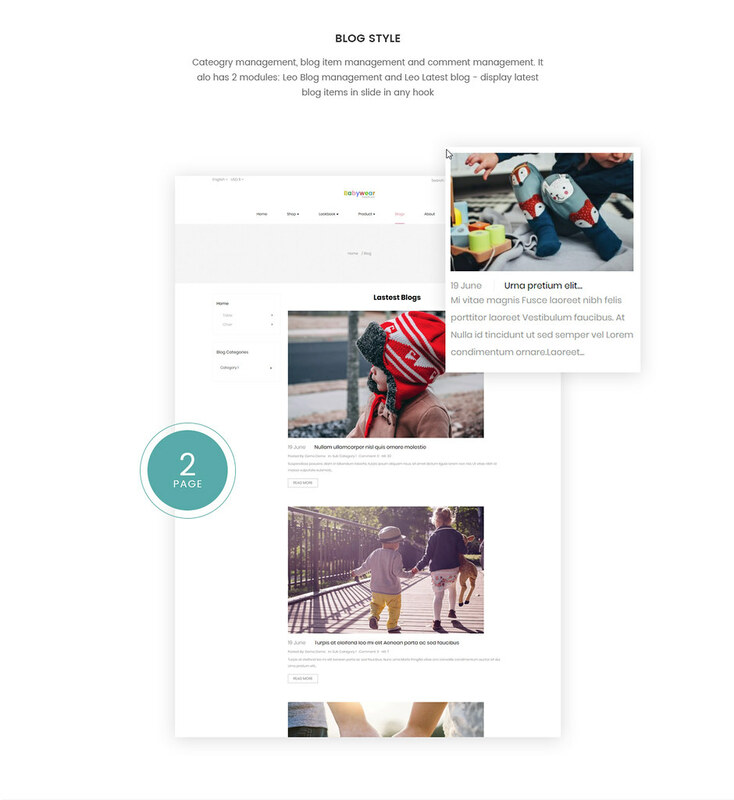 Leo Her supports 7+ layouts for product details page so that you can select to display your product’s information in the most effective way to your clients. Leo Feature module supports to add more user utilities when customer shops on your website like Ajax Add to cart, Quick view, Add to Wishlist, Add to Compare. The rating starts right under the product to increase the trust for your products and also to help you know how your client like your items. The footer with social media integration like Youtube, Facebook, Twitter, etc to broaden your potential customer network. The blog page is available designed so that you can post the latest articles for better SEO. 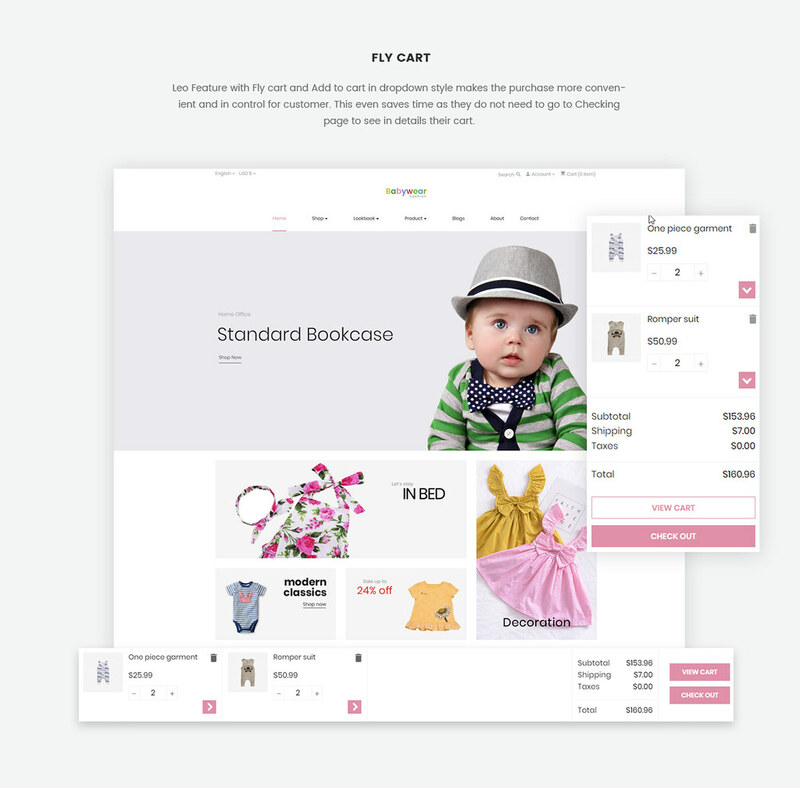 User-friendly admin panel will empower you to manage or customize your kid store with ease. 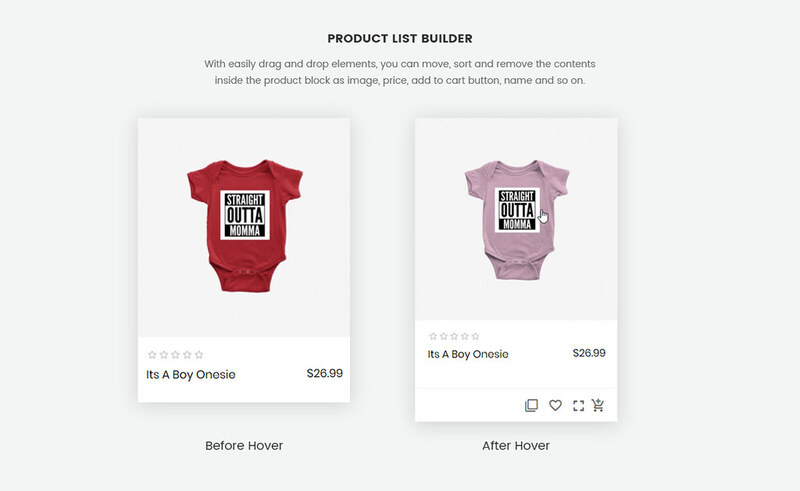 What makes Leo Babywear Responsive Prestashop Theme special?